There are lots of starter kits on the market today. The kits come with all you need to start vaping. All you need to buy separately is the e-liquid. And with lots of kits to choose from, it might be overwhelming for consumers. To help you with your choice, below are the top vaping starter kits from Got My Vape. The H-Priv 220W TC Kit is the latest high power package from Smoke. It has a redesigned firing mechanism in a small package. It has a gold plated magnetized battery door that makes it easy to remove and install the battery. It allows output of 6 to 220 watts, with resistances of 0.1 to 3.0 ohms. This bundle has all the features you need and a lot more. It can go up to 213 watts, and has a carbon fiber exterior to provide it with a slick look. Sigelei installed an advanced chipset in the mod to provide incredible performance. The starter kit comes with a Sigelei Moonshot Tank, Crown Subtank from Uwell, and a Sense Baijiada Mermaid V2 Tank.As you can see, you get to choose from three high-quality tanks. Great things come from small packages, and Tesla Stealth 100W Starter Kit is the perfect proof of this. The kit comes with a Tesla Shadow Tank and Stealth Mod. It has a firing button at the top, which complements the ergonomic design of the Mod’s body. And if you don’t want to use the Shadow Tank, the mod is compatible with any tank with a maximum diameter of 22.5 mm. The Dripbox 160 TC kit from Kanger features the bottom feeder design that the company is known for. It provides a convenient dripper experience without the annoyances of dripping. The mod has a variable output that ranges between 7 and 160 watts. It also has a temperature control mode that is compatible with Titanium, Nickel 200, Ni-chrome, and Stainless Steel wire. The iNano Kit is probably the smallest kit on the market today. It is user-friendly with a single button operation. It has a LED color display that shows the status of the battery. It uses a direct voltage output that depends on the state of the battery’s charge. It is an affordable kit that is recommended for nights out or short trips. 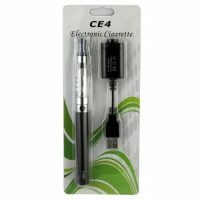 These are the latest start kits you can find from Got My Vape. These kits have almost all the items you need to vape right out of the box. 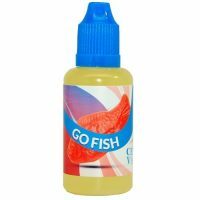 You just need to buy your favorite e-liquid, and you are all set.